We pray that God will fill our hearts with peace and joy even in the midst of uncertainty and turmoil. We pray that we may be instruments of divine love and that our acts of kindness will lighten others burdens. We pray that we may stand in solidarity with those who are on the margins. We pray for those who work for social justice, that their hearts be strengthened to touch the lives of the poor, homeless and marginalized. We pray that our gifts of time and treasure will help those in need. We pray that all people will slow down enough to hear Godde's words of love for them. We pray that our world government leaders will listen as well as speak. 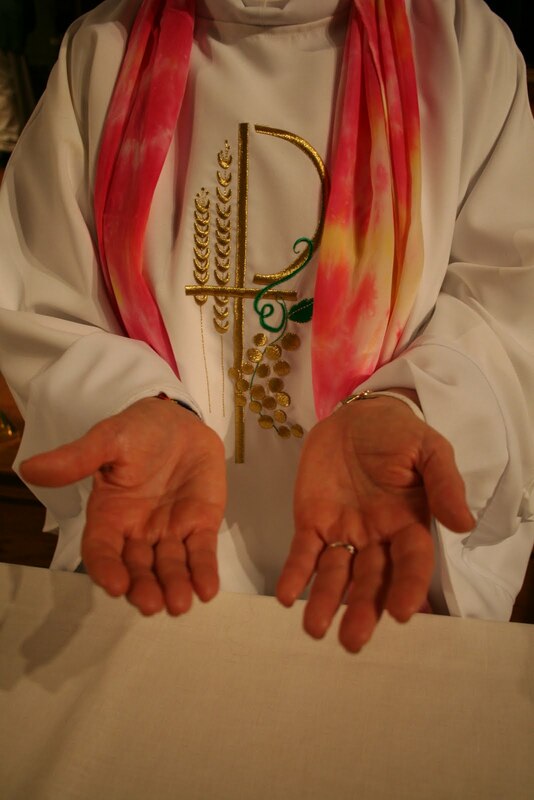 We pray that all people will be obedient to what Godde calls each of us to be/do in the New Year. We pray for the greening of hearts in the midst of a cold winter. We pray for a deep sense of laughter that overshadows present pain. We pray for calm in the middle of every conflict, calm so deep it shelters the light of faith that will bring in hope for new beginnings. We pray for enlightenment that leads every person through the darkness. We pray for fullness of life that moves in when emptiness carves a hole in our souls. We pray that we may grow in love with the gifts of creation and that the desires of our hearts may match God’s fondest dreams for us . We pray for light and joy for all and for a steadfast spirit as we give ourselves in service of others. We pray for indescribable energy that moves believers of all nations to turn toward those in need and say, Yes, we Can! We pray for equality for all in our world. We are one! We pray for an end to hunger- for food, for justice, for peace and for love as we link arms, and together move forward carrying the Christlight burning bright forever. -May we live the Good News of our Brother Jesus in thought, word and deed. -May we open our arms and encircle the world in loving embrace of forgiveness and reconciliation. -May we live peace in our own hearts, families, communities and the world. - May we laugh more, cry more, hug more, dance more as we move more deeply into your Mystery of Being inviting others into the dance of humanity evolving toward Godliness. "In the spring of 2010, as the national debate on health care reform seemed deadlocked, Sr. Carol Keehan, the Daughter of Charity who is president and CEO of the Catholic Health Association, led her organization to endorse the legislation and thus helped pass it through Congress. The move put health care coverage within the reach of an additional 32 million Americans..."
And then, last month, Phoenix Bishop Thomas Olmsted withdrew the “Catholic” designation from St. Joseph’s Hospital and Medical Center because he said the hospital wouldn’t accept his full authority about a medical case that he had deemed to be an abortion. The hospital had said it was acting to save a life. As NCR tried to report on St. Joseph’s losing its Catholic status, we sought comments from ecclesial authorities and canon lawyers. Despite copious commentary produced over several months from ethicists and moral theologians who reasoned the hospital had acted compassionately and morally, no one had much to say for the record on this latest development, beyond acknowledging Olmsted’s right to do what he thinks best in his own diocese. No one, that is, except the Catholic Health Association, led by Keehan, who supported the hospital... "
"And that’s why Sr. Carol Keehan is NCR’s person of the year for 2010..."
"Gambling with history: Benedict and the Legion of Christ"
"While the question for Benedict is both immediate and risky, there is probably more at stake, depending on how those questions are answered, for the late John Paul and his legacy. How the story evolves and who controls the narrative could greatly influence whether John Paul continues to be viewed purely in heroic terms or as someone whose papacy was tainted by a scandal that came to light just five years after his election, but that he acknowledged only in the late days of his reign." "As for the U.S. Catholic bishops, ditto. They are continuing to lose touch with the majority of the Catholic laity by their unbending opposition to in vitro fertilization, embryonic stem cell research, women priests, abortion under all circumstances, and every form of gay rights--including civil partnerships that stop short of marriage..."
"Change we can believe in: The pope, condoms, and church teaching" How about Women Priests? "This change-phobia among many Catholics is perhaps the more interesting dimension of the story. Despite the fact that church history is littered with changes in not only custom and practice but moral teaching (slavery, torture, and usury, to name a few), acknowledging them is almost anathema. ..."
"Paul first restates Jesus’ command in four different ways but then modifies it: “If the unbelieving partner separates, let it be so; in such a case the brother or sister is not bound” (1 Cor. 7:15), therefore free to remarry. Faced with a new problem, Paul adapts. Jesus said no divorce; Paul says no divorce, too—unless there is a really good reason. ..."It just means that the fullness of truth, as a dimension of the divine mystery, is beyond our human comprehension. Our salvation, after all, isn’t predicated on being right about everything all the time. In fact, thank God, we’re still saved even when we’re wrong. " Bryan Cones is managing editor. This article appears in the February 2011 issue of U.S. Catholic (Vol. 76, No. 2, page 8). Will Pope Benedict change his mind about women priests like he did about condoms? In Light of the World, his new book, Pope Benedict stated that even if the church wanted to ordain women, it could not! Does that mean he (sorta, maybe, wants to if it was alright with Jesus), but, insists he can't do it because Jesus only ordained the Twelve. So if we followed this line of reasoning, the Catholic Church would only ordain married Jewish males! 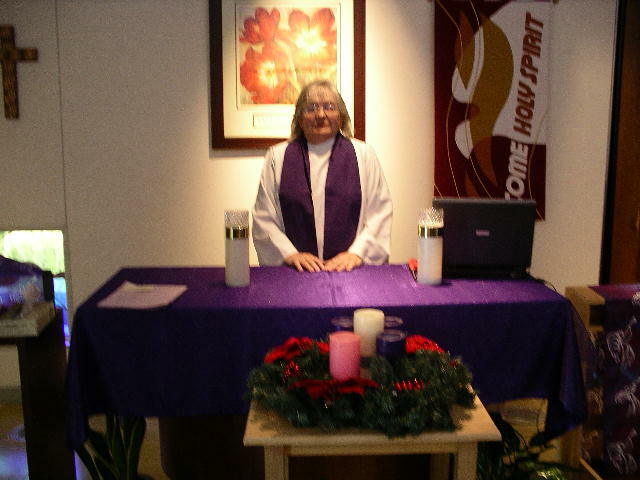 There are over 100 Roman Catholic Women Priests in Europe, Canada, the United States, and Latin America. 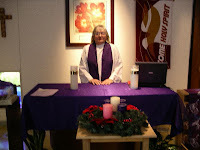 TIME rated women priests #6th most popular religious story in 2010, the Huffington Post rated us #5 top story. 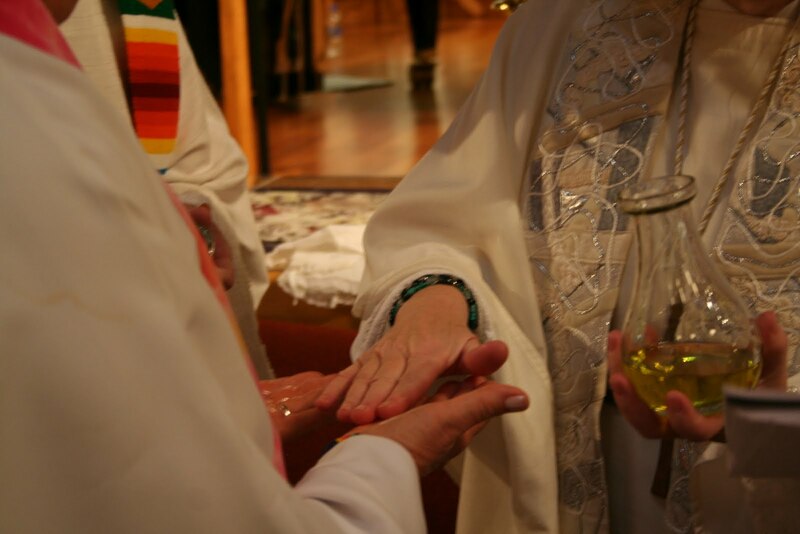 Yes, indeed, the Holy Spirit is a'moving in the Catholic Church as we offer the church the gift of a renewed priestly ministry in a community of equals. 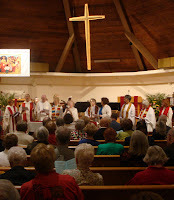 You can view clips of our ordinations, liturgies in movies on youtube and read about our experiences and ministries in books such as Come by Here by Judy Lee, Living Gospel Equality Now by Bridget Mary Meehan and Women Find a Way (edited by Elsie McGrath, Bridget Mary Meehan and Ida Raming) now available in German! "Last summer, Bishop Olmsted of Phoenix asked Catholic Healthcare West to provide a moral analysis of the case that started this controversy. So CHW secured the services of the moral theologian M. Therese Lysaught. Her analysis, sent to the bishop in October, was rejected by Olmsted last month. We have obtained Lysaught’s cover letter to CHW along with her analysis. San Francisco Archbiship George Niederauer "intends to initiate a dialogue" with the leadership of Catholic Healthcare West regarding questions raised by Phoenix Bishop Thomas Olmsted over CHW affiliate St. Joseph's Hospital's compliance with the Ethical and Religious Directives for Catholic Health Care Services used by the U.S. bishops to govern moral choices in Catholic health care. The corporate offices of Catholic Healthcare West are located in the San Francisco archdiocese." -- Most Reverend Thomas J. Olmsted, Bishop of Phoenix, has authority and responsibility to interpret the moral law and to teach the Catholic faith in the Diocese of Phoenix, a jurisdiction that includes St. Joseph’s Hospital in Phoenix which is operated by Catholic Healthcare West (CHW). The local bishop of a diocese has authority and responsibility for Catholic institutions located in his diocese regarding compliance with the Ethical and Religious Directives for Catholic Health Care Services (ERDs), issued by the United States Conference of Catholic Bishops. -- Some questions have been raised about the implementation of the ERDs as they relate to Catholic Healthcare West (CHW), a system headquartered within the Archdiocese of San Francisco. The Most Reverend George H. Niederauer, Archbishop of San Francisco, intends to initiate a dialogue with the leadership of Catholic Healthcare West (CHW) regarding those questions. Recent discussions within the United States Conference of Catholic Bishops, especially within its Task Force on Health Care, regarding implementation among individual Catholic institutions and Catholic health care systems, will contribute to that dialogue. In May, officials at St. Joseph's publicly acknowledged that an abortion occurred at the hospital in late 2009. "Consistent with our values of dignity and justice, if we are presented with a situation in which a pregnancy threatens a woman's life, our first priority is to save both patients," St. Joseph's President Linda Hunt said in a statement. "If that is not possible, we will always save the life we can save, and that is what we did in this case. "We continue to stand by the decision, which was made in collaboration with the patient, her family, her caregivers and our ethics committee," she added. "Morally, ethically and legally we simply cannot stand by and let someone die whose life we might be able to save." Directive 45 of the ERD states that abortion is never permitted. Directive 47 states that "Operations, treatments, and medications that have as their direct purpose the cure of a proportionately serious pathological condition of a pregnant woman are permitted when they cannot be safely postponed until the unborn child is viable, even if they will result in the death of the unborn child." When I was a teen, I saw a movie that depicted a bishop, the brother of a pregnant woman, who loved his sister, but when the chips were down and it was her life or the baby's life, the choice was his to make and he chose the baby. I will never forget how horrible I felt that his sister was powerless in this situation, and that the decision was her brother's to make. So today, here we are again, reflecting on the controversy surrounding the mother in Phoenix whose life was saved by the the ethical team at St. Joseph's Catholic Hospital. As directive 47 indicates, one is obliged to save both lives, but if that is not possible then the moral principle is to save the life that can be saved. Surely, Bishop Olmsted of Phoenix is not implying that the hospital should have let the mother die when her life not only could be but was saved! Hopefully, Bishop Olmsted, Bishop Niederauer will clarify their positions in this kind of tragic situation when pregnant women's lives are at risk. This controversy raises many questions. Will Catholic hospitals continue to follow directive #47? 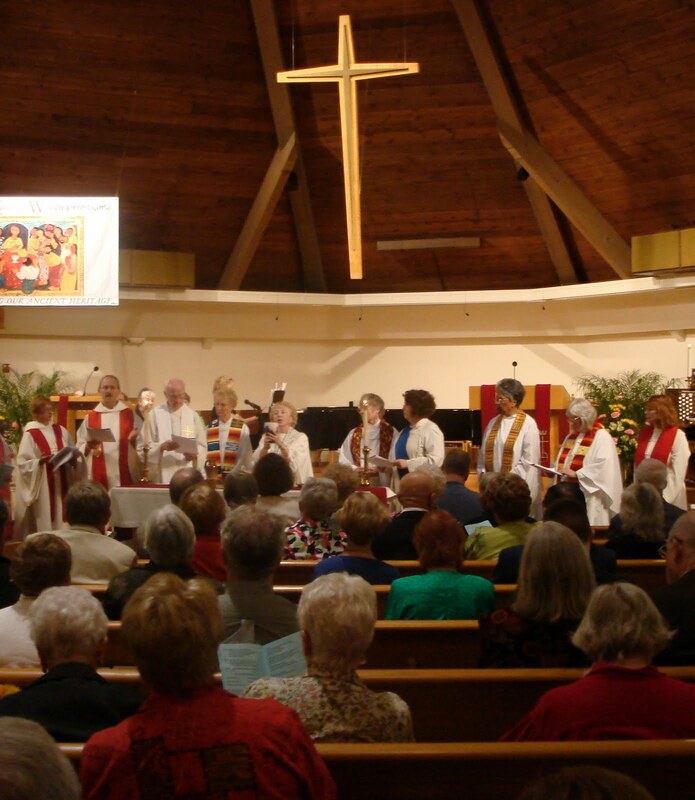 What is the role of the umbrella organization Catholic Healthcare West? What decision-making responsibility do Catholic hospitals have in pregnancies that result in life or death decisions? Does the local bishop play a role in medical decisions made by ethical boards in Catholic hospitals ? What does it mean to be a "Catholic" institution, organization? Do such entities need hierarchial approval? Vatican II teaches that the people of God are the church, and so by our baptism, we are all equals in our church. Are the people of God, the "baptized" members of the church responsible for the church? In the ideal situation, this relationship with the bishops should be a partnership. So perhaps, this "dialogue" between San Francisco Archbiship George Niederauer and Catholic Healthcare West may be a positive step forward. Is your family holy? Today is the feast of the Holy Family – the last Sunday of the calendar year. Why ever do we assume that the only Holy Family is the one comprised of Jesus, Mary, and Joseph? Why have a feast that sets apart one family unless there is a logical application for us and our families too? Why cannot our families also be holy families? Well, they can be! Each of the readings today offers us directions on how ours can be a Holy Family. But, we tend not to look at these as directions for how we can be Holy Families. We tend to think instead of the original Holy Family. In Sirach we learn about honoring our parents and about being considerate and kind. In the Psalm we hear of godly things that happen to God-loving people. In Colossians we have specific instructions on family life. (More on that in a moment.) Finally, we have Matthew’s account of the flight into Egypt – which, in many ways, is a family prototype. How, then, can we be a Holy Family? Listen to who our families are – we are blended families, we are single parent families, we are gay and lesbian families, we are single people with no interest in marrying, we are widowed, we are divorced, we are alone and many miles from our families of origin. We are even Internet families. The list goes on and on. How can we all be Holy Families? Very, very few families fit the norm. We sometimes think the norm is the nuclear family, but it is not. Throughout most of history the nuclear family has been the exception. Joseph, Mary, and Jesus were probably a nuclear family for their brief stay in Egypt – but not for the rest of the story. But, what is the norm? Is there a norm? Or is this norm a mythical and maybe artificially unrealistic ideal that we of recent decades have invented? Maybe we are missing what the norm truly is. Let us look at the today’s gospel for an understanding of what a family norm might be – regardless of whether our family is biological and nuclear or whether it is as broad and universal as the other side of our computer screen. This reading from Matthew begins with the magi departing from their visit. Earlier in that gospel we learned that the magi had come to the house. This was probably an extended family setting – if not in the immediate house, at least in the surrounding houses. How many of us live in the immediate vicinity of many of our blood relatives? Not a lot. How many of us have magi visit – particularly with the kinds of gifts the gospel’s magi bring? Probably not many of us at all. From there Joseph is warned in a dream to flee the country – fast! How many of us are warned of anything in a dream? Maybe a few of us, but probably very few. But, how many of us have kings chasing us down? This is hardly typical. Joseph fled and thus expatriated for at least a couple of years in Egypt. He was thus a foreigner in a foreign land – away from his family and friends. This was highly unusual for the society of his day, though not quite as unusual for us today. He may have had to learn a new language – or at least a new dialect of an old language. Think of all the other tribulations he had in moving to a strange country! He had to make new friends and find a new job. He had to become established in Egypt. Then, finally – and probably after he was established and becoming comfortable in his new surroundings, he returned home where he and Mary and Jesus became a part of a small community called Nazareth where probably almost everyone was related to almost everyone else. If we trace the concept of family here, we see first a home in an extended family setting, followed by an isolation in a strange land, followed by a repatriation in a community where the nuclear family was hardly the norm. And it was in this community that Jesus grew up. The point is that the norm is the unusual. The norm does not fit the standard definitions of norm. It never did fit. And because it never did fit, now we all fit. Every one of us has a different story. Some are dramatic, some are mundane, some are calm, some are stormy. Every family story (whether family of origin or family of choice) is different – just as the story of the prototype Holy Family is different. Perhaps we need to stop looking at the externals of what makes a family holy. Perhaps, realizing that our stories are just as atypical as the story of the original Holy Family, we might be ready to go back and look at the directions for how we, in our individual situations, can truly be Holy Families. The gospel story concentrates on Joseph’s willingness and obedience but each member of the original Holy Family also did as God had directed. And that is really what being a Holy Family is all about. That is what we are supposed to do. What does God want each family – and each family member – to do? The directions are quite clear. Go back to Sirach. Sirach is a wisdom book and, as such, contains practical advice. Here the advice is centered around the interaction between parents and children and what God expects. The advice is given in a very loving way – and that advice about honor and respect and kindness is certainly as valid today as it was over 2500 years ago when Sirach was written. The real key, however, for our families being Holy Families comes from Colossians. Paul’s advice is for everyone. “Put on, as God’s chosen ones, holy and beloved, heartfelt compassion, kindness, humility, gentleness, and patience, bearing with one another and forgiving one another; as the Lord has forgiven you, so must you also do. And over all these put on love, that is, the bond of perfection. And let the peace of Christ control your hearts, the peace into which you were also called in one body. And be thankful.” It seems that if we each follow Paul’s advice, we will be doing God’s will (just as the original Holy Family did). And, if we do God’s will, regardless of our physical circumstances, we too will be Holy Families.